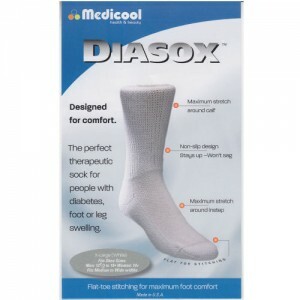 The DiaSox brand sock is perfect for people with diabetes and those with foot or leg swelling. These excellent socks comfortably fit medium to wide shoe widths. Manufactured with a unique knit top that stays up without binding or leaving marks. All sizes are Women's. Available in pink only. 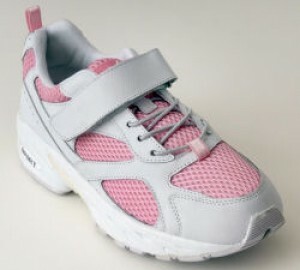 Combination of lightweight mesh and leather with a no-tie elastic Lace and Velcro closure - provides the ultimate comfort and style. 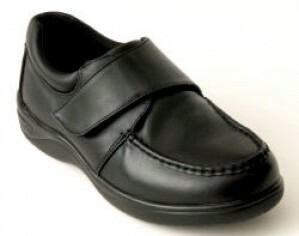 A great looking, sophisticated leather lace casual dress shoe designed for comfort, quality and style. 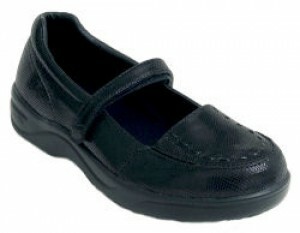 Easy to wear shoe provides a great everyday casual look. 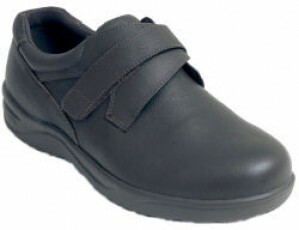 Simple tie or double Velcro closure adds a finishing touch to both comfort and fashion. This item comes in mocha only. 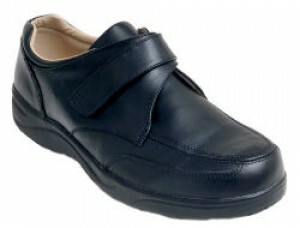 Stylish lightweight leather casual dress shoes, provide all day leisure. This item available in black only. 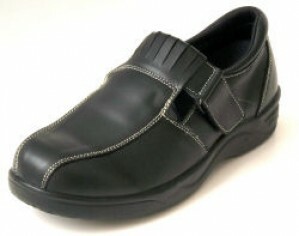 Stylish lightweight leather casual dress shoes, provide all day leisure. This item available in charcoal only. All sizes are Women's. Available in black only. No one would guess these patent leather lace dress shoes were actually therapeutic. 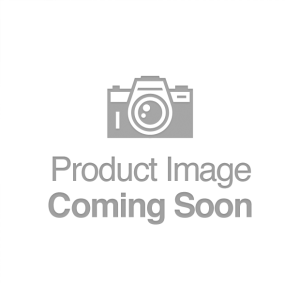 These provide a perfect blend of enhanced luxury and refinement with quality high polished patent leather.